As senior citizens grow older, a time may come when they require some assistance getting through the increasingly difficult rigors of everyday life. In many cases, when a senior gets to this point, families start giving real consideration to an assisted living facility or senior home, but in-home senior care is a third option that allows seniors to remain in their homes and receive assistance there. For families that choose senior home care, a Personal Home Care company will assign workers to a residence to provide senior care with a focus on the activities of daily living (ADLs), such as dressing, bathing, and making meals at various time throughout the day. These health care professionals also can help with instrumental activities of daily living (IADLs) like bill payment or transportation to doctor appointments and the grocery store. In many cases, seniors also need some companionship, and these professionals can provide that, as well. Home care services are divided into two types, basic in-home care and in-home nursing care. 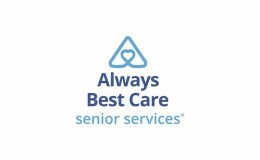 Many of the services listed above, including ADLs and IADLs, are the types of services provided by basic in-home care professionals. While families and seniors set up their schedules for these services, visits can be arranged at all sorts of intervals. Some prefer to have assistance at home on a daily basis, but it is not uncommon for visits to be less often if the need is not quite so great. Basic services include things like running errands, going to various appointments, cleaning around the house, bathing, and providing companion care. In other words, these professionals spend their time helping seniors manage the minutiae of everyday life. In-home nursing care is a little more involved, as it focuses on those seniors who recently underwent an accident or had a major medical procedure done. 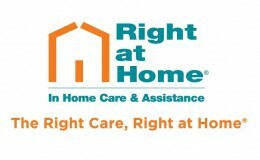 One major difference between basic in-home care and in-home nursing care is that, for the latter, the professionals typically are trained medical staff since they will be doing tasks like administering medication, cleaning and dressing wounds, and perhaps providing medical treatment for certain high-maintenance chronic diseases like diabetes. They also can provide some basic physical therapy, which obviously is an important part of any recovery process for seniors. Because these workers require more training and certification, in-home nursing care tends to cost more than basic in-home care. But giving seniors the opportunity to undertake these challenges from the comfort of their own homes often is worth the expense, especially for those that aren’t ready for the nursing home just yet and can live independently. There are a number of ways for patients to cover the costs of in-home senior services, including private payment, Medicaid/Medicare, and some LTH insurances. Most in-home care options cost somewhere between $20 per hour and $40 per hour. Here at Senioridy, we call these types of services in-home care, but this type of treatment also is referred to as in-home personal care, elderly home care, home health care, home care aide, home health workers, home nursing care, or home therapy. Whatever it may be called, the idea is the same; services will come to a senior’s home as a way of caring for the elderly and keeping the senior from having to move into a facility.